The Dodge Viper’s future isn’t looking too good. As we’ve just learned, the Viper’s fate is now in question in light of contract negotiations between Fiat Chrysler and the United Auto Workers Union; the Connor Avenue Assembly Plant, where the Viper is built, looks like it’s going to be shut down. The Viper will be phased out completely in 2017. No successor is planned, and the Challenger SRT Hellcat is still more powerful, not to mention cheaper. It, not the Viper, has become Dodge’s new halo model. Armed with that and combined with my incurable car geekiness (think we can all relate) and quest to make a profit, I researched some Viper prices. Not the latest model, but the original one Carroll Shelby consulted on back in the early 90s. Get this: you can buy a 1993 Viper RT/10 this very instant for less than $35,000. I even saw one for $29,000. Mileage? Well below 50,000. Condition? Excellent. 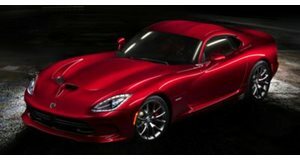 Like any good fine wine, expect that value to increase in time – especially if Dodge gives the Viper the axe. A Phase II Viper GTS, built from 1995 through 2002, is also a damn decent bargain. I found two for around $40k. And they were blue. With that Le Mans style racing stripe. The second-gen model that debuted in 2002 through 07 has a larger price range, from $45k to nearly $60k. Still not terrible. 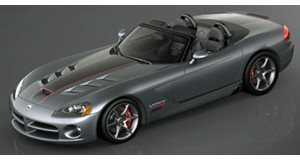 But it’s the original Viper RT/10 and GTS that we dig most and, low and behold, they’re also the cheapest. There’s your future all-American, Carrol Shelby influenced, V10-powered classic.